Nurture the wellbeing of your pets with our range of wholesome, natural products free from Genetically Modified Organisms, artificial colours, flavours and preservatives. 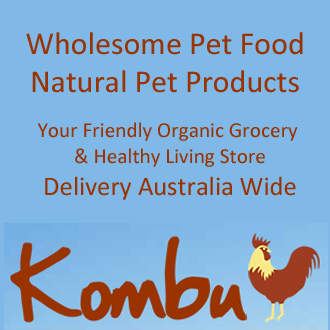 Kombu Wholefoods offer over 2500 organic, local and healthy discounted products in one store. Find us in Bellingen or shop online. Creating a better world one purchase at a time!